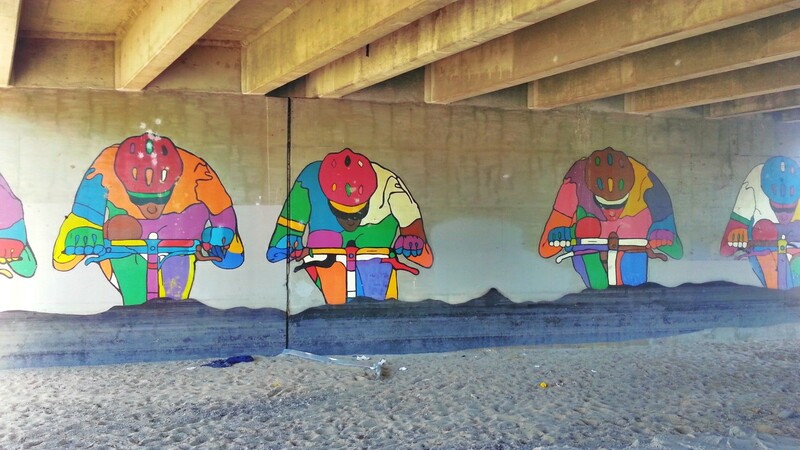 Pic of the Day: The Dependable Santa Ana Bikeway | Trace B. It can be a challenge to get back into road running after being exposed to so many beautiful trails but I have managed to log several miles along the Santa Ana Bikeway (Santa Ana River Trail) and it has made it an “easier” transition. Yesterday I was able to snap this photo at the very end of my 10-miler yesterday and it gently reminded me that I do have a road bike and I could take the path all the way to the beach (if I wanted to). This entry was posted on June 28, 2013 by tracebee. It was filed under Pic of the Day .